A couple of weeks ago we went to Pen Y Bryn for lunch. We go there every couple of months or so. It’s up in Colwyn Bay Heights (where there’s a gorgeous view of the sea) and you need a car to get up there but it’s a lovely place! 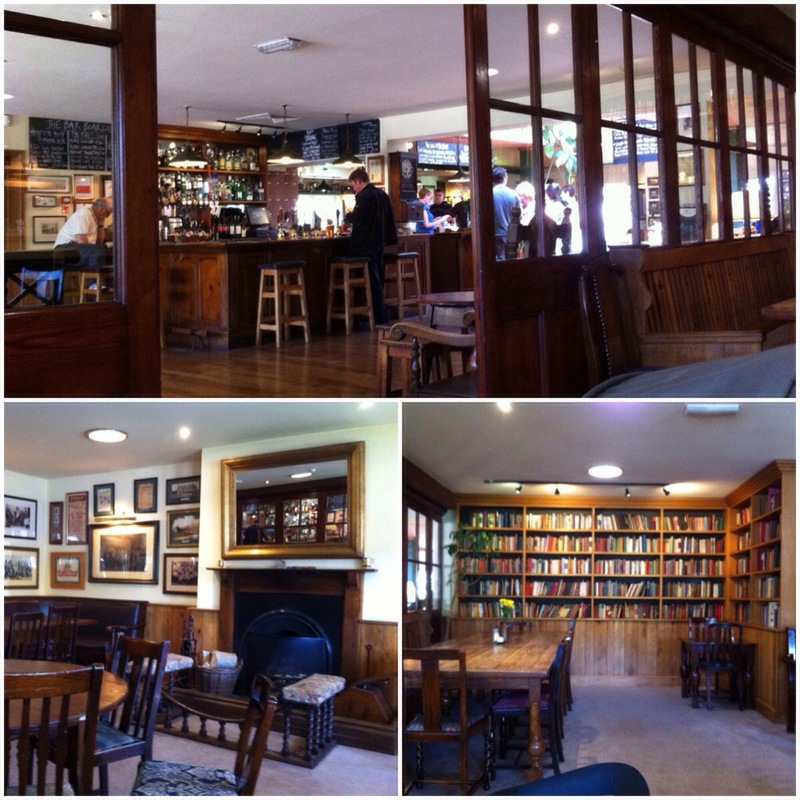 It’s very cosy with a nice fire and lots of old books. But it isn’t stuff as the bar area is very open plan and lots of sunshine comes through the large windows. From the back of the building you can see the sea and the coastline but we tend to sit at the front by the fireplace. The decor is old Welsh tourism stuff and nautical stuff. 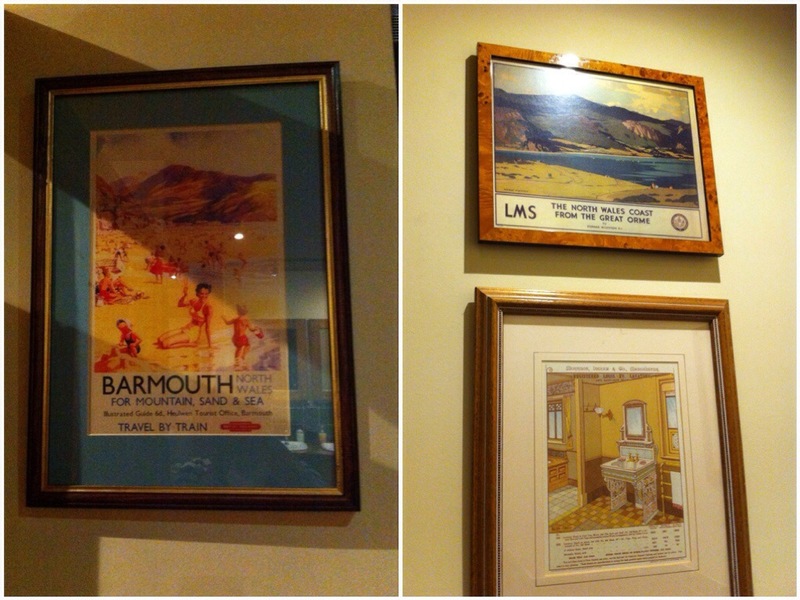 For example in the ladies toilets you have old railway posters advertising the North Wales Coast and Cambrian Coast attractions. The menu keeps changing each time we go. Not a drastic change but slight variations depending on what’s in season. 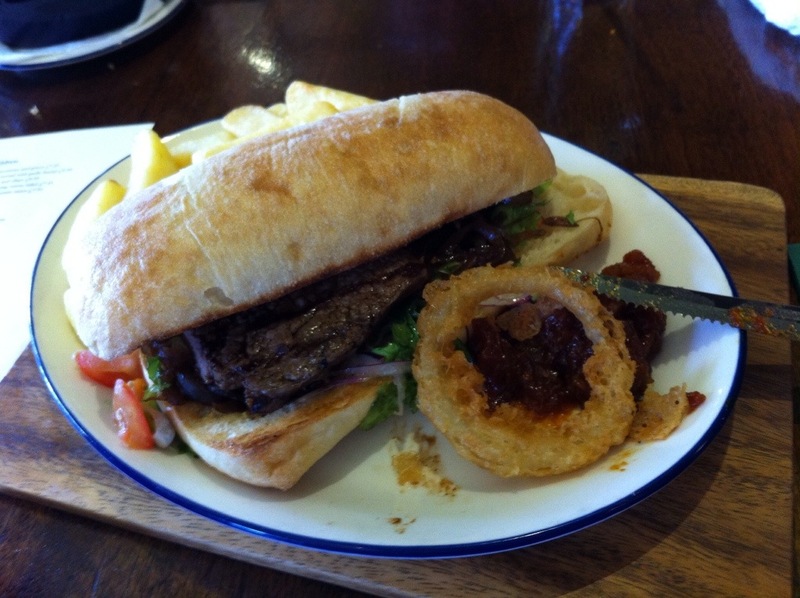 They usually have a steak sandwich on offer which is what I opted for last time we visited. Occasionally I’ll go for the sausage and mash with gravy. All the produce is local with the sausages coming from the Conwy Valley. Not sure where the steak was from but it was very nice. We also ordered a side of onion rings to go with it. Very yummy! So if ever you’re in the Colwyn Bay area I would recommend Pen Y Bryn – well worth a visit! I used to go on holiday to Colwny Bay every year! It was even where I got my ears pierced (for my 7th birthday). The year I turned 8 was the last time we went though so I don’t really remember anything about it. Oh wow that’s cool! Small world huh? I don’t think Colwyn Bay has changed that much to be honest!